If you think the best music festivals only take place in North America or England, think again. 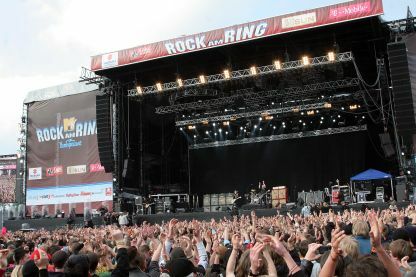 Rock Am Ring (Rock at the Ring) is a must for concert-goers and anyone who truly enjoys music and a few gulps Weihenstephaner Hefeweissbier. The German festival is considered one of the largest in the world and combined with Rock Im Park, they had a combined attendance of just over 150,000 people in 2007. This year’s lineup included headliners such as Korn, Limp Bizkit, Marilyn Manson, The Killers, Placebo, Slipknot and Billy Talent. The following are a few videos of some of the live performances fans gelled together to see.